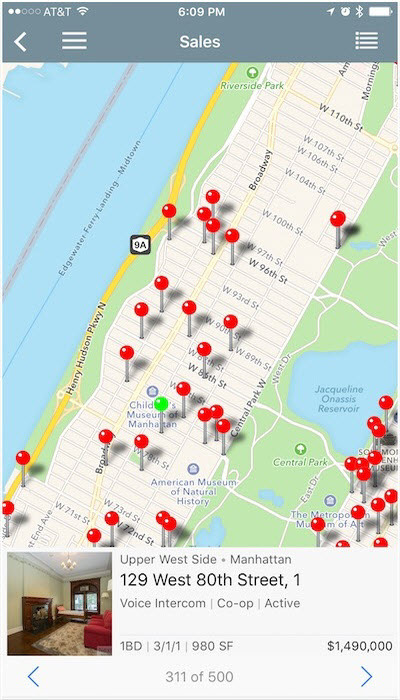 When doing a search, simply switch to map view to see all the listings pin pointed on the map canvas. Dragging and pinching the map allows you to move and zoom in/out. When you move the map around, "Search this area" option appears. When you re-do the search - mapped results will adjust based on positioning and search criteria. 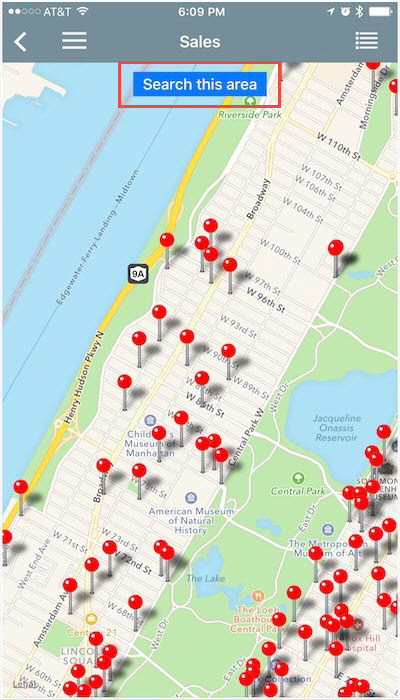 Tapping on the pin will give you listing preview tile which you can swipe to see next listing. *When accessing map feature in your customer itinerary, all scheduled appointments will be displayed on the same page making it easy to navigate between showings.